Another good one from Kalie Shorr. 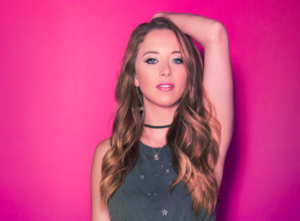 I’m still pulling for Kalie Shorr to find that breakthrough in country music. Here last few singles have been good ones. I really liked, Fight Like A Girl. Great melodies. Great lyrics. I thought that might be the one to push her through. But she’s still out there working and she just put out her next single. It’s another good one that I think you’ll like. Definitely a little bit of a pop production on this one. I could see it being something that would work really well for Kelsea Ballerini. And that’s definitely a compliment for both singers who I like. The song is upbeat. Definitely something that’s a bit of a dance song and a bit of an anthem. Something that can get the women in the audience pumping their fists in concert. But you’ll have to let me know on that. The lyrics are clever. It’s a woman giving a few reasons for why her guy has two hands. I like the one about how her guy will hold the door, but won’t hold her down. He trusts her. He knows that he can trust her. That’s a good line and there are some other good ones in this song as well. And the more I’m listening the more I really like the chorus. It’s very catchy and seems radio-ready to me. Let me know what you think of this one. I still think that Kalie is someone to watch for as a breakout artist in the near future.